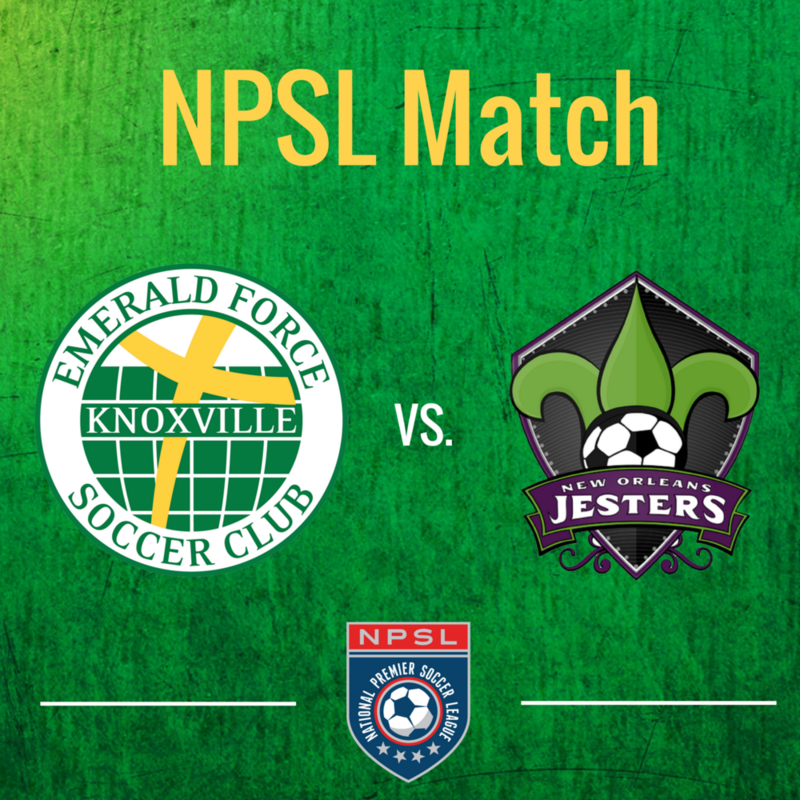 The Emerald Force men's team will host the New Orleans Jesters in a National Premier Soccer League home match at Sansom Sports Complex. The Force suffered a 4-0 loss to the Jesters earlier this season and are looking for a strong comeback. The Wednesday night game begins at 7:00 pm.